We have a huge selection of storage containers for sale and can deliver them right to your location. 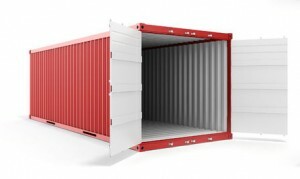 We have shipping containers available in 20′ or 40′ sizes. Some of you may also know these as “conex containers” – there are many names for these but they are all the same thing. Most of our storage containers are used at construction and job sites, such as for commercial, residential, industrial and retail construction, but they are also used for a wide variety of uses. While most of the shipping containers we have are 20′ and 40′ in size, we also have other sizes available as well that are perfect for your particular situation. Just give s a call, tell us about your storage requirements and we will strive to suit your every need. Our 20 foot shipping containers are very popular with customers who do not need to store a lot of equipment, tools or products. They are also the most affordable option providing outstanding ease of access. Some of the customers buying and renting our 20′ storage containers are automotive repair shops, restaurants, homeowners, schools and contractors. Some use a 20′ storage container because space is limited at their site but need to safely and securely store their property. Contractors often use 20′ shipping containers to securely store their tools and equipment at a job site. Additionally, the 20′ storage solutions are used on farms for agricultural purposes, commercial and industrial projects, storing files and documents, even military and personal use. Our 40′ steel shipping containers are actually the more cost-effective solution on a per square foot basis when compared to the cost per square foot for 20′ storage containers. They are primarily used for larger storage needs, such as at large construction sites, tire storage, military purposes, municipal, commercial and large industrial projects. If you need a 40′ steel storage container, we are the ones to call. We will deliver your 40′ shipping container wherever you need it and will pick it up when you no longer need it.